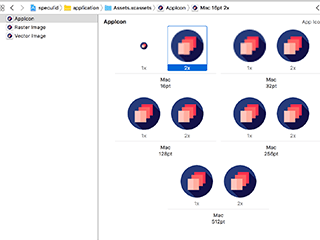 Part of the process of building an app for watchOS, iOS, or macOS is including all the image assets and app icons in your application. 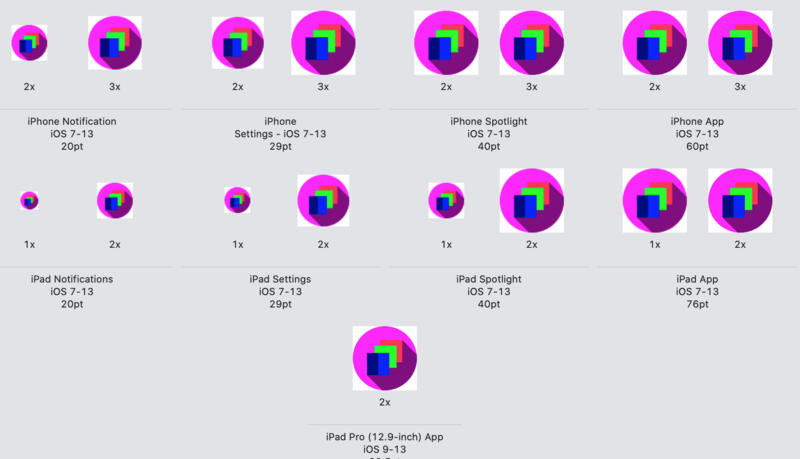 Each image assets or app icons requires several copies for different resolutions, different devices, and different sizes. 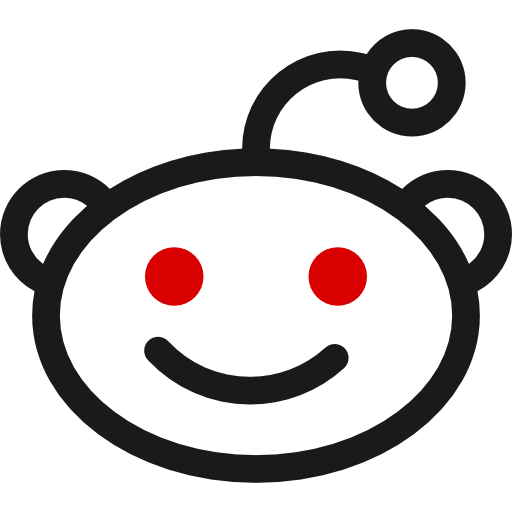 Right now, this needs to be done by exporting all the various similar images from a major graphics application. Each graphic must be manually converted and resized several times for each update. 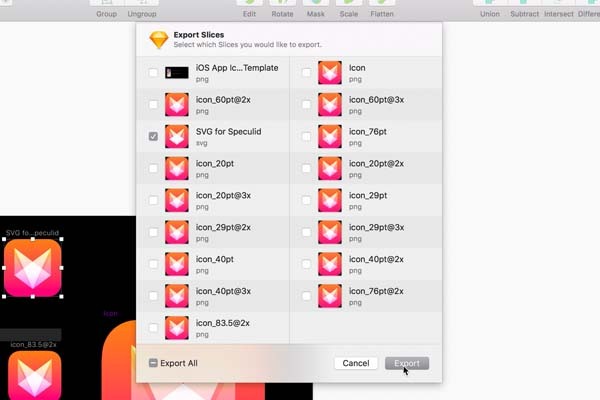 An asset catalog image set will need a 1x, 2x, 3x of each graphic and App Icons may need as many 30 different sizes. Only one file is needed for each Image Set and App Icon. Graphic Designers need only export a single file change each time rather than as many as serveral scaled copies. Resizing and conversion is done behind the scenes based on a single source image. 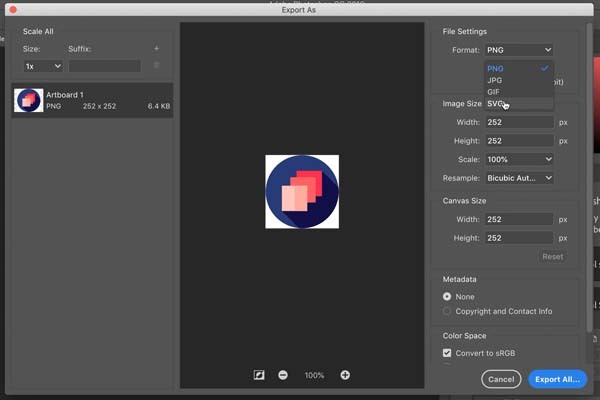 Speculid links a single graphic file to an Image Set or App Icon and automatically renders different resolutions, file types, and sizes for all the image specifications required. Speculid automates the process so only one graphic file is needed. 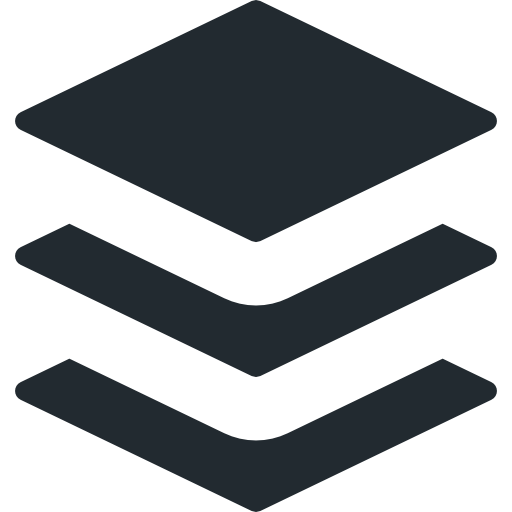 Add Speculid to your build process and now the conversions and resizing are automated as part of the build process. Now there is no need for anyone to manually create each size for each device every time. 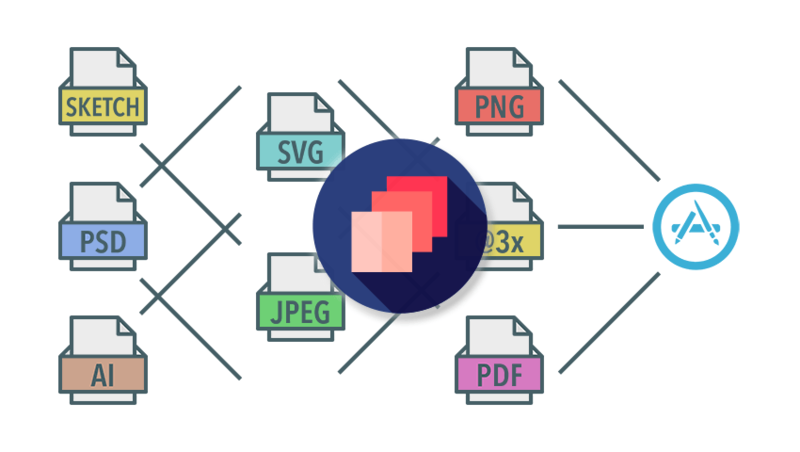 Reduce the size of your repository by including a single vector or raster image and ignore all your automated png and pdf files at compile. That means faster remote pulls, less redundancy, and complete syncronization between sizes. sign up below to get the latest version. 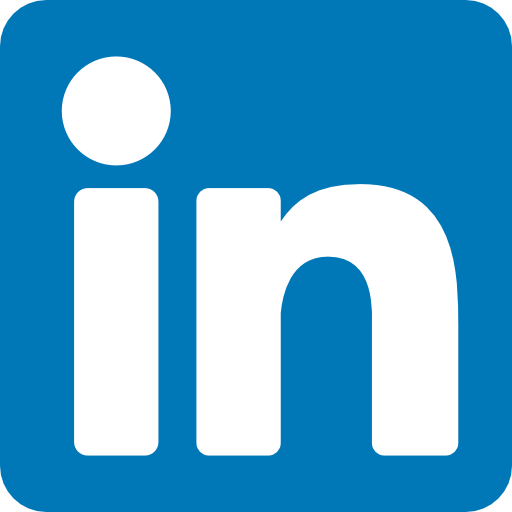 Enter your email address here to request access to the latest version. Once you have unzipped the file, go ahead, and copy the application Speculid.App to the Applications folder. Right now, Speculid only supports being called through a command line terminal for now. Once you have copied the command to your /usr/local/bin folder you should be able to access it easy. A set is an image set or app icon used by Xcode. 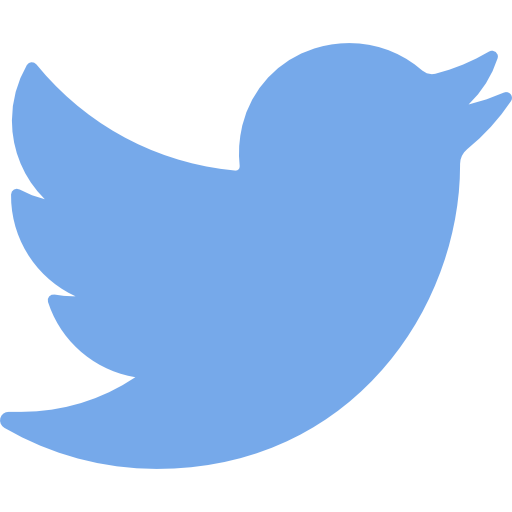 The image source file which could be a SVG or PNG file. You can only specify the height or the width. The other dimension is automatically calculated based on the aspect ration of the image. As a requirement, App Icons are required to exclude any alpha channels. In order to remove a transparency from a source PNG or SVG file, you can specify to remove the alpha channel and add a background color. The background color can be set in a standard rgb, rgba, or hex code format (#RRGGBB or #AARRGGBB). If no alpha is specified an alpha of 1.0 is assumed. To specifically remove the alpha channel, a true boolean value must be specified. This will remove the alpha channel from the file. Make sure to specify an opaque background color when removing the alpha channel. 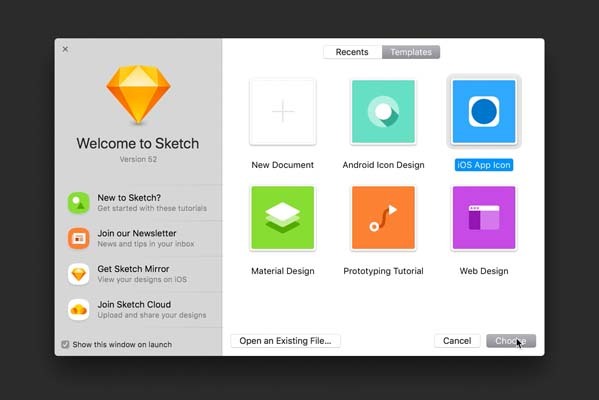 Open Sketch and create a new document using the iOS App Icon Template. If you are using an existing project, you can skip to step 3. Once you are in the template, duplicate one of the icon size slices on the left side. On the right size, change the preset format to SVG. 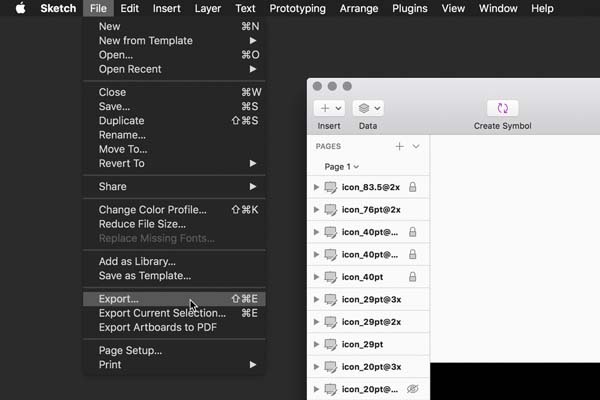 In the top menu, select File…Export. 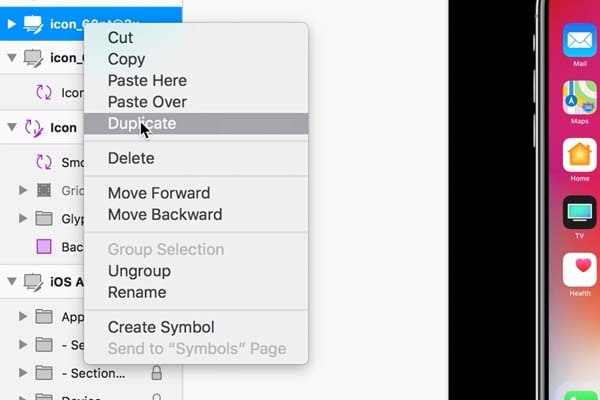 Select your duplicated slice and select Export. Select the destination for your SVG file and Save. 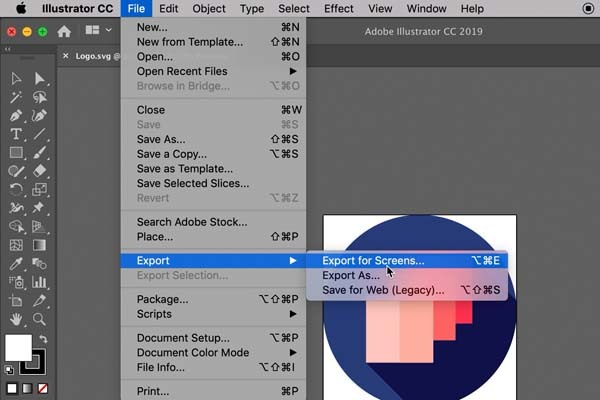 Open your Photoshop document, select File…Export…Export As…. Under the File Settings on the right, change the format to SVG. 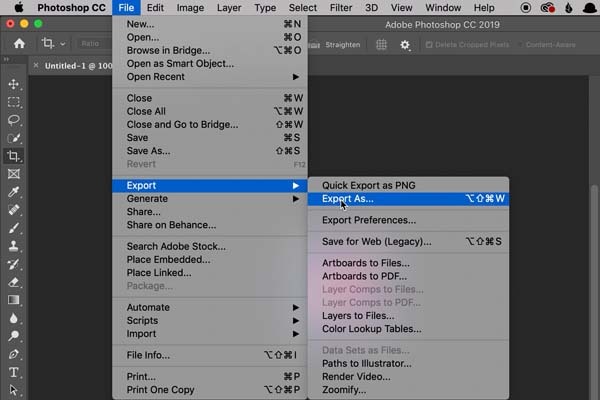 Select Export All and choose the destination for your SVG file and Save. 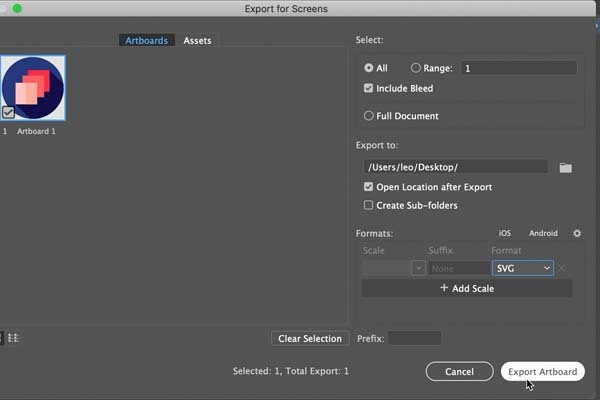 Open your Illustrator document, select File…Export…Export for Screens…. Under Formats, update the format to SVG. 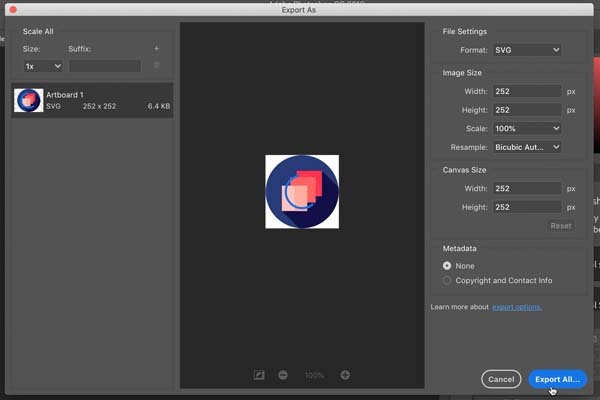 Select Export Artboard and choose the destination for your SVG file and Save. With Speculid, the process of building image assets can be automated in Xcode. Create the speculid file and add it to your project folder as well as your source graphic files. Add the property for the source - the path to the SVG or PNG file. 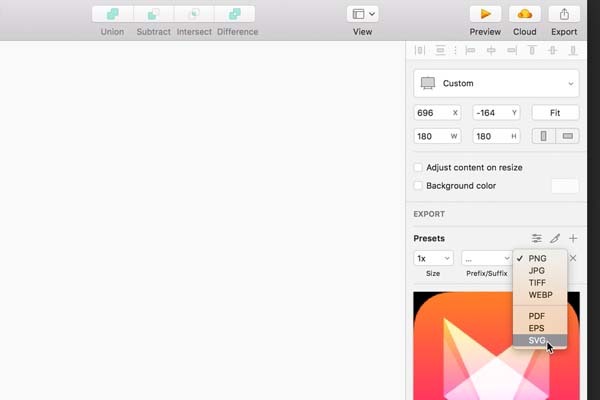 Add the property for the set - the path to the Image Set or App Icon folder. optional Add the property for the geometry - if this a conversion from a vector graphic (SVG) to an Image Set, you may want to supply the 1x size. If you specify 128 in the geometry property, that means the width for the 1x image will be 128 pixels, the width for the 2x image will be 256 pixels, and the width for the 3x image will be 384 pixels. Heights will be calculated based on the aspect ratio of the SVG file. Vector images in an image set will be converted to a iOS compatible PDF file. optional Add the properties for the background color and alpha removal - if this a conversion to an App Icon, you should remove any background transpareny and add a background color. See the file format section for more details. Build the application. This will create the graphics which you will use in your asset image set or app icon. After the first build, drag the images to the correct asset slot. Each rendered image file is suffixed denoting its slot.